The venue is the Samsung Forum in South Africa and the news are the Samsung Galaxy Star and Galaxy Pocket Neo. Both handsets are now official and have been updated with specifications but we're yet to find about their respected availabilities and price. The Galaxy Star comes with a 3" QVGA screen, Android Jelly Bean 4.1, 1 GHz single-core processor, a 2 MP camera and microSD card support. The Galaxy Pocket Neo also boasts a 3" QVGA display but sheds some MHz from the processor, ending up with a single-core 850 MHz unit. 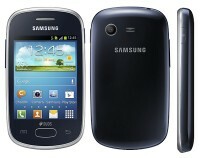 It also has Jelly Bean 4.1 on tap and shares the 2 megapixel camera of the Galaxy Star. Both smartphones will also have dual-SIM versions, with the availability varying by markets. We've heard before that the Galaxy Pocket Neo would be arriving in mid-May, but we are yet to get any info about the Galaxy Star. 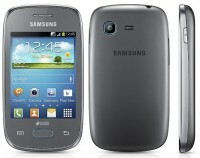 i have used already samsung galaxy phone , it is really good .